Heartworm is a potentially serious parasitic infection that affects many dogs and cats. Before your pet has a chance to develop late-stage problems, detecting the early warning signs of heartworms can help. Symptoms of infection usually only arise once the heartworms are mature (around six months) and can take many more months before signs arise. Let’s have a look at the most common signs of heartworm infection. If your pet has heartworms, your pet may find it difficult to perform even the simplest of activities. This results in a pet that is not as active as it once was. If your pet starts acting out of character and does not want to go outside, stops playing as often, avoids physical activity, or seems constantly tired there may be an issue with heartworm. Heartworm is known to make its way into the lungs as they multiply in the veins and surrounding lung tissue. This can cause problems breathing, shortness of breath, and coughing after exercise. Sometimes after even a light walk, you may notice your pet begins a soft but dry cough – possibly even followed by fainting. One of the byproducts of heartworm presence is fluid buildup in the abdomen. Over time this fluid can begin to cause an unusual protrusion of the abdomen. There may also be a bulging chest appearance. A bulging chest is often the result of anorexia and weight loss that can arise. Although weight loss is indicated in many pet health issues, it is one of the things that can point toward a heartworm infection. If some of the other common heartworm signs are also in place, and weight loss is occurring at an irregular and unsolicited rate, there may be an infection. Anorexia can be one of the later stage results that arise over time if left untreated. With heartworm, even the most simplest of tasks, like eating, can become exhausting. In addition to coughing, you may notice that your pet has trouble breathing. Rapid or shallow breathing can result from the heartworm infection in the lungs and surrounding blood vessels. This is also part of a larger issue of fluid building up on the lungs making it hard for the body to oxygenate the system. Although total collapse is a late-stage sign of heartworm infection, it is something to be aware of. You may still be able to save your pet, even at this stage of infection. If your pet collapses due to late-stage heartworm infection, there is very little time left for treatment. Your pet may go into shock and may have only days before your pet will perish due to heart failure, and red blood cell destruction. Heartworms can lose their way in your pet’s body on occasion and end up in the eyes, brain, or other tissues. This can result in symptoms like seizures, blindness, or lameness, although very rare. Being able to detect the early warning signs of heartworm can help to save your pet from a potentially life-threatening health condition. Prevention is the most appropriate measure when it comes to heartworm. Even so, keeping an eye out for these common signs can keep your pet safe and give you peace of mind. If you suspect your pet is experiencing a health problem, please reach out to us right away. If we can get ahead of the issue before it gets out of control, your pet has the best chance of a long and healthy life. We are always here for you and your pet!​​​​​​​ Contact our Live oak, CA office to learn more. With so many pet food brands and options available on the market, not all are treated equally. Certain products are formulated with whole foods and natural ingredients, while others missing critical components, or worse, contain chemical additives that cause health problems. Have you ever wondered ‘if I buy the wrong products, can pet food contribute to behavioral problems?’ The answer is 100% yes, and here’s why. Let’s have a look at the most common signs of heartworm infection and its treatment at Country Veterinary Clinic. Call 530-491-4500 today! For more advice and support on the best ways to keep your pet warm this winter, please don’t hesitate to call us! 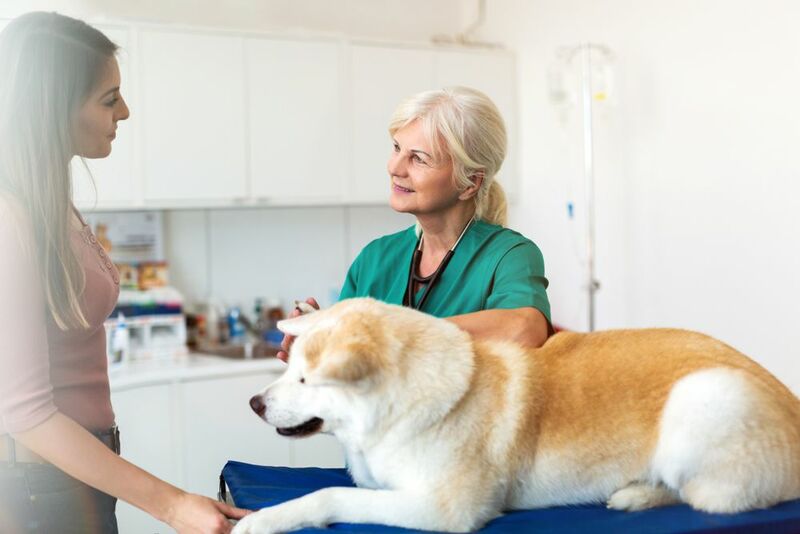 Learn more about these 6 valuable tips in treating pet diabetes much faster. For more information, contact us today at 530-491-4500. Learn more about some guidelines on how to prepare in adopting a dog. For more information, contact us at 530-491-4500. When Does My Cat Need A Tooth Extraction? Know more about some tips and guidelines on how to know when it is time to extract the tooth of your cat. For more information, contact us at 530-491-4500. Learn about some fun facts about dogs to remember this national dog day. For more information, call us at 530-491-4500 today! Know more on the causes and treatments of hot spots on dogs. For more information, call 530-491-4500 today! Learn about the benefits of adopting a senior cat. For more information, contact Country Veterinary Clinic at 530-491-4500. Know more about the right food to give your indoor cat. For more information, call us at 530-491-4500. Why is it Necessary to Spay and Neuter Our Dogs and Cats? Learn more about the importance of Spay and Neuter to your pet. For more information, contact us at 530-491-4500 to schedule an appointment. March is Poison Prevention Awareness Month and the perfect time to remind yourself and others about what potentially harmful poisons may be present in your home. Learn more about it here. Know the essential tools to include in your pet dental kit to maintain the health of your furry friend by Country Veterinary Clinic. Contact us at 530-491-4500 for further advice. Country Veterinary Clinic shares to you some tips and guidelines on where to effectively put the litterbox of your furry friend. Contact 530-491-4500 to know more. Is your dog pulling his leash? Read more on how to stop your dog from pulling his leash while walking. Contact Country Veterinary Clinic at 530-491-4500 for details. Flea infestations can become an unpleasant nuisance for animals and their owner if not treated immediately. Click here to learn more. Read more about the advantages of reading to your dogs and why you should do it often. Contact 530-491-4500 to know more. Learn more on how to take care of your furry friend who loves sugar. Contact 530-491-4500 to schedule a consultation today. Is your dog suffering from pain or other ailments? Laser therapy for dogs can be a great treatment option for pain. Learn more here. Learn how you can train your puppy or dog to leave your cat alone. Still have questions? Call us today at 530-491-4500. Summertime is one of the best seasons for pet owners! Checkout our tips for keeping your pet safe from heat and other summertime dangers in Yuba City. What happens if you don’t take your pet to annual vet visits? An annual examination is the perfect opportunity for your veterinarian to do a complete check of your pet’s health. Contact Country Veterinary Clinic today. Learn about the foods your dog should never eat or what to do if he or she accidentally ingests these harmful foods. Call us at 530-491-4500 with questions. Learn more about how to care for your pets teeth and the pet dental services at Country Vet in Live Oak. Sometimes our furry roommates need a little extra help in life. Whether you already have a pet with a disability or are considering adopting, here are some tips from us! A responsible horse owner will want to know that their horses are in the best health possible. Read about some essentials every horse owner should know. Whether you are a new pet owner looking for a checklist, or a seasoned pet owner looking to make sure you have everything, see what 10 things are essential to raising your pet! Stimulate their minds and use up your dog's energy with some of these fun activities for you and your dog! Dogs are meant to work and be active and keeping them bored might results to behavior problems. Learn about what kind of memory your dog has! Visit our location to learn more. Read about the allergies your pets may have and what you can do to keep your pet healthy even with these allergies. Call us today for more information at 530-491-4500. Learn the best ways to clean a fish tank here! Call 530-491-4500 for more information. Learn what you can do to keep your pets as safe as possible in the car. If you have any questions or for more information, give us a call at 530-491-4500 today. Want to treat your cat with catnip? Learn more about Catnip and its affects here. If you haven’t been camping with your canine before read through our tips for what to expect when camping with your pet. Read through our guide to what you should know about the birth of kittens. Learn more about new finding for pet health and massage therapy from Country Veterinary Clinic. If your pet is sick it is important he or she receives medication. But sometimes they don't easily take medication, see our tips for giving pet medication. Learn more about Parasite Prevention and Control from Country Veterinary Clinic. If you have any questions, give us a call today at 530-491-4500. It can be difficult to tell if an animal is pregnant, Country Vet Clinic provides you with a guide to identifying if your pet is pregnant and the timeline. If you have any questions, give us a call today at 530-491-4500. Tour our beautiful country clinic and learn about the family environment as we care for your companion pets. We know our clients on a first name basis.